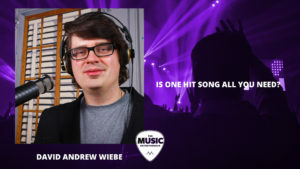 Don’t get me wrong – one hit song can make a big difference in your career. And we should all be grateful should such an opportunity present itself. It is all you need to “make it” in the music industry though? Is that how you’ll make the greatest impact possible? I believe this is an important question to explore, especially if you’re thinking one big hit is all you need. 00:56 – Do you need viral content? Hey there. Thanks for joining me. This is something I’ve been thinking about more and more as of late. 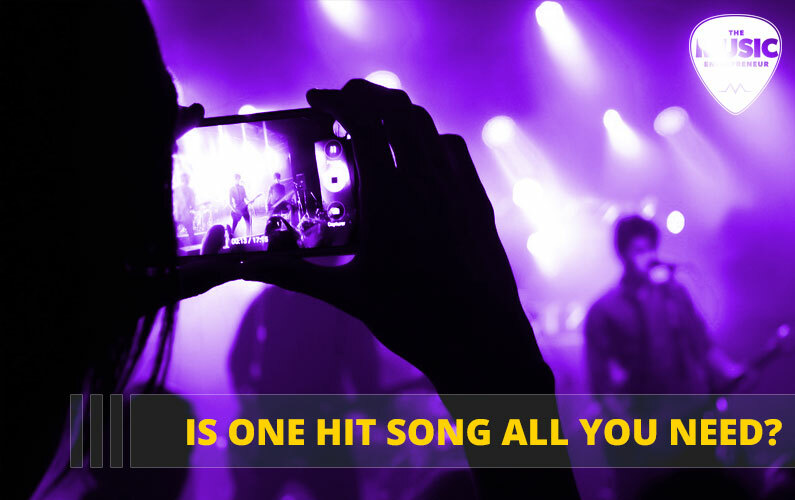 We’re often told that all we need is one hit song. Superstardom, and fame, and wealth, and everything is just one hit song away. That’s it. But I have a question to ask. Is it more important to have a hit song or is it more important to stay consistent at the work that you need to do to get to where you want to go? I think you can tell from my tone of voice and everything else that I think consistency and showing up to bat is more important really than trying to create a hit song. Here’s why: I don’t need a huge viral blog post or podcast episode or YouTube video virtually ever. Those things may be in my future and that’s great, and I look forward to the day where I’m reaching more people and my impact is maximized, but I’m more interested presently in making a difference where I am because the ripple out effect is always much greater than where it originated. I could be a catalyst for a lot of positive change. I may not even see or hear about it, but if I can start that change and be that catalyst, that’s what’s important to me. So, if I only reach 100 people with every content piece that I create, that’s enough for me. That’s awesome. Here’s why: Because I’m going to keep showing up. I’m going to keep going up to bat hundreds of times, thousands of times, tens of thousands of times, or my entire lifetime as I continue to write new songs, put out new videos, write new blog posts, and put together podcast episodes. The compound effect of everything that I continue to do over time, the impact of that will be much greater than just trying to get to one hit song. So, I don’t want to discourage anybody for going for that hit song because it’s awesome. And if I happen to write one in my lifetime – and when I say hit song, it’s really just a metaphor for anything you do creatively – but if I happened to write one in this lifetime, awesome. It’s not like I’m going to turn it down. If that’s what you’re going for, cool! But for many of us, the greatest impact we can make is actually showing up consistently, so I encourage you to think about that and let me know your thoughts in the comments below.